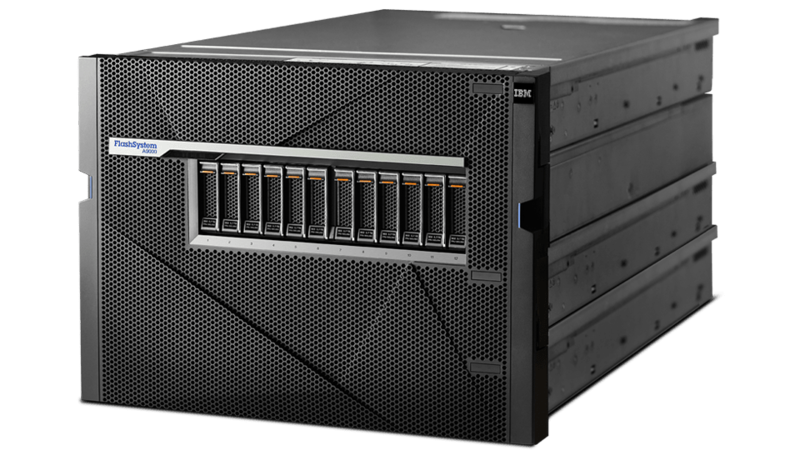 IBM FlashSystem® A9000 makes it easy to deploy cloud solutions, so you can gain more value from your data. If your business requires consistent high performance, then FlashSystem A9000 can extend your cloud infrastructure with cost-effective, all-flash storage. This breakthrough solution integrates the market-leading performance of IBM FlashCore® technology, parallel architecture and flash-optimized data reduction in one innovative system, purpose-built for the cloud. Choose FlashSystem A9000 and gain a groundbreaking mix of speed, power and scale-out simplicity.